Oh hey there, 2019. You kind of snuck up on me. It’s crazy that January is almost done and this is my first blog post of the year. It’s been hard finding the inspiration to write and to actually publish a post. My grandma passed away before Christmas and I just didn’t really feel like celebrating the holidays and putting myself out there when I wasn’t feeling the best. I miss her a lot and there is not a day that goes by that I don’t think about her. There is no smooth transition about feeling sad and missing a loved one and although I put myself out there with my random thoughts, I don’t think I can actually write about my grandma because it’s just too personal. Trust me, I’ve tried, but I end up using a box of tissue; hence not being able to publish a post for almost a month. HAMR brings me happiness and makes me forget about everything in life and just focus on fashion and fashion makes me happy, so I’m going to focus on being happy. 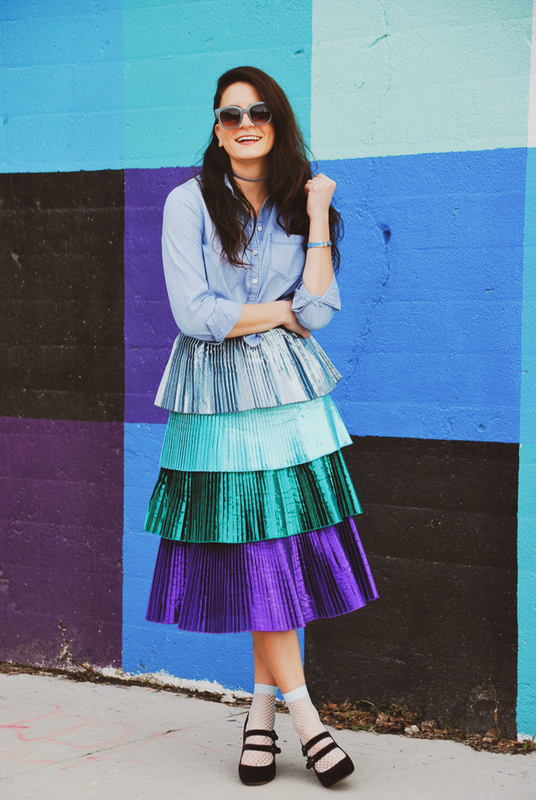 What makes me happy right now is this tiered metallic skirt. 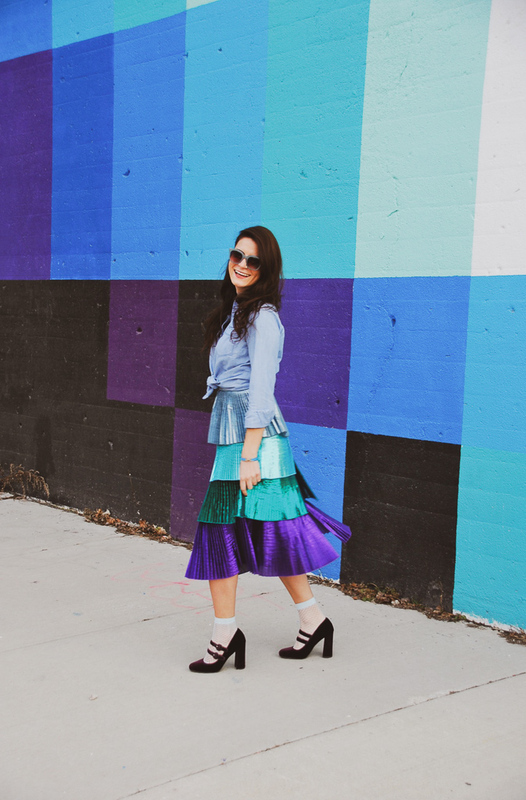 I had my eye on this skirt for the longest time and I finally rented it from Rent the Runway. It was everything I hoped it would be and more. 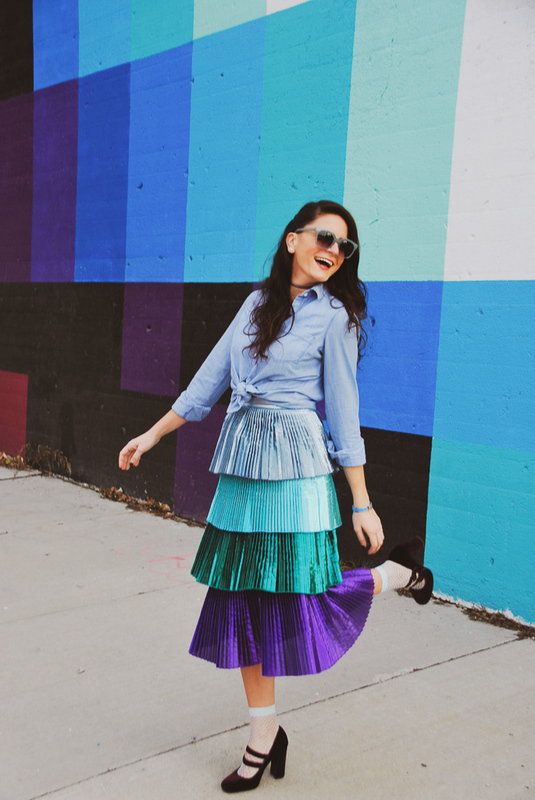 I couldn’t stop smiling and twirling in it. 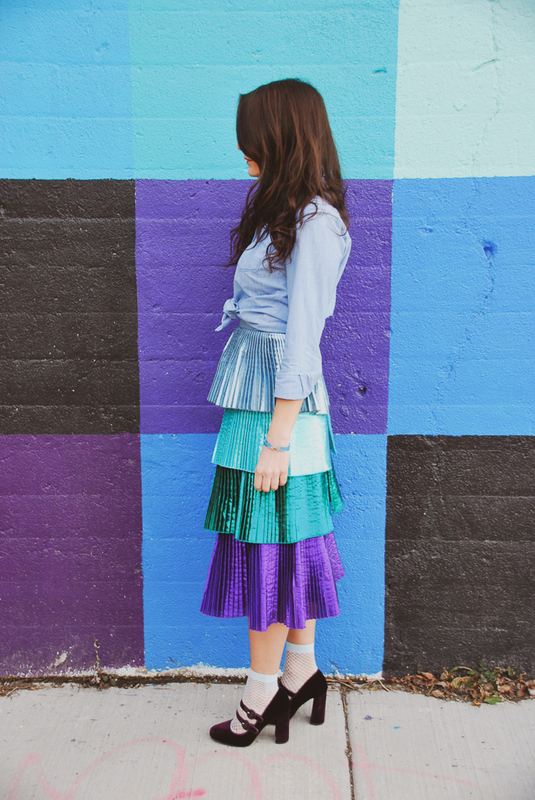 Since I wanted the skirt to be the focal point of the look, I wore it with a classic chambray top and tied it. It was a bit cold when these photos were taken but because of all the twirling I think I broke out into a sweat – haha! 2019, I hope you bring happiness to everybody and are kind and gentle. 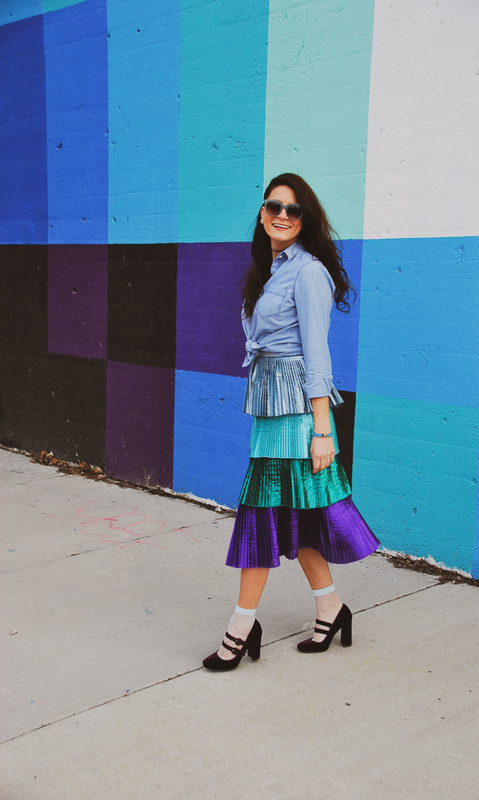 It’s better to be fashionably late than just late, so I’m back to officially blogging weekly. I hope you continue to read HAMR and thank you for all your continued support. P.S. I just learned how to insert emojis on my computer 🙃 (control command space bar). Thank you, Eleni mou for always being there for me! Love you! PS. 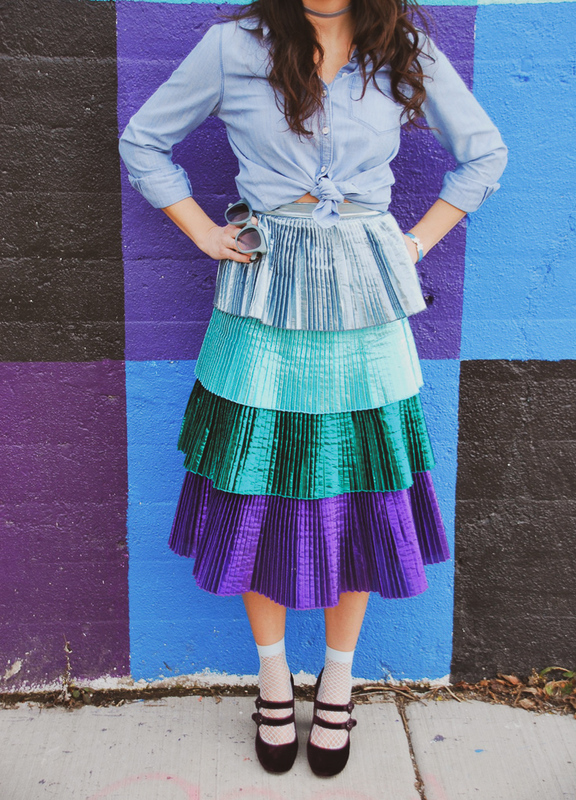 In love with the skirt!